Night had fallen, and the woman looked down at the crumpled letter, as if, in absolute darkness, she could read the postscript: Only a monster can play this game. In Chicago, an FBI agent is killed in a psychiatrist's waiting room. In New York, the jurors from a controversial trial are murdered one by one. The only connections between the two: a flamboyant shock-jock, whose on-air comments seem to be taking him dangerously close to the edge, and a woman, her body misshapen since childhood, whose job it is to clean up crime scenes-and maybe create them as well. 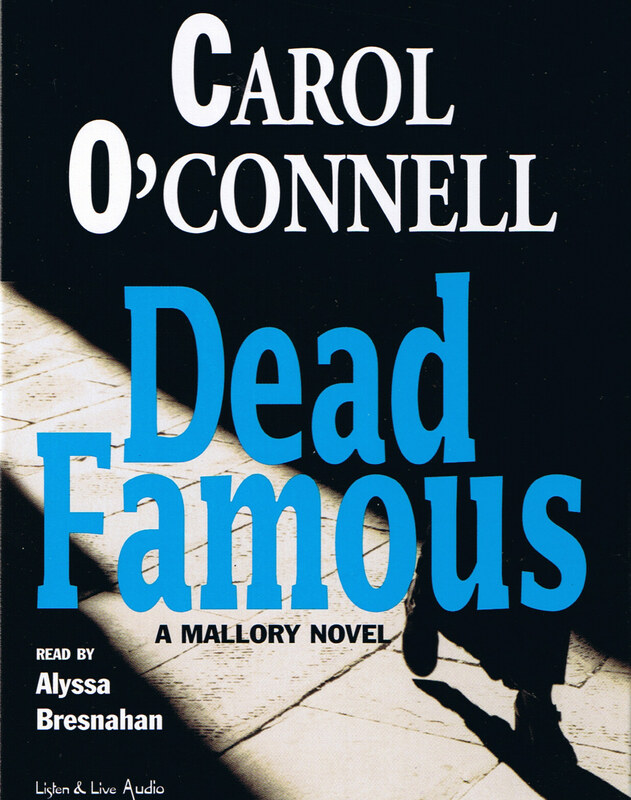 This is a federal case, and Mallory's been told that the FBI wants no part of her. But she knows something nobody else does--and, besides, when has she ever cared what anyone else wanted? Carol O'Connell has been consistently praised as a gifted storyteller (Milwaukee Journal Sentinel), the author of stylishly innovative (San Francisco Chronicle), immensely affecting (Miami Herald) novels with an irresistible narrative force (Publishers Weekly). She lives in New York City. Alyssa Bresnahan graduated from New York University, winning the Highest Achievement in Acting Award. Her credits include MacBeth at the Classic Stage Company, The Clearing at the New York Stage & Film Festival, and Hedda Galer at the Hudson Guild Theater in Los Angeles for which she received the DramaLogue Award. "Bresnahan wisely opts for a straightforward approach, presenting the book's lengthy descriptive passages in a clear, crisp manner and defining the cast of eccentric characters with subtle vocal shifts. The result is a compelling, smartly paced entertainment, as focused and coolly efficient as its affect-less heroine." "Memorable characters and blazingly original prose. Once again, O'Connell transcends the genre." "(listeners) follow Alyssa Bresnahan no matter where she goes."